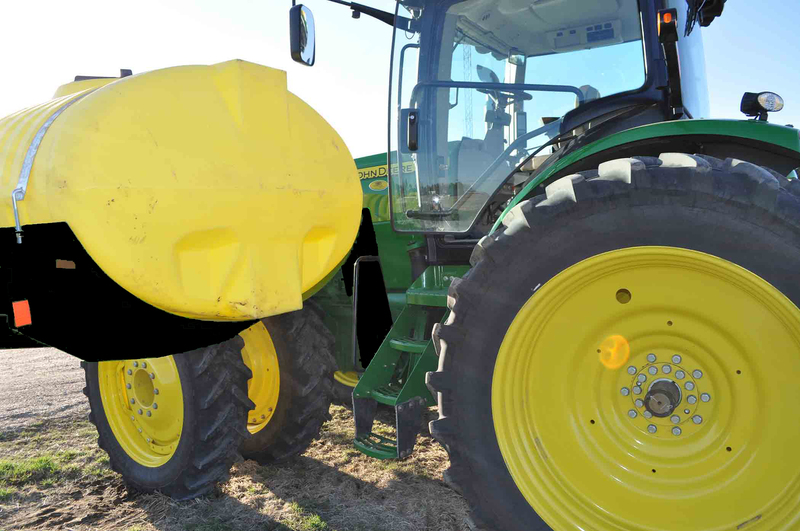 Elliptical Tanks on a John Deere with front dual tires. Three main pieces make up the 8000 series undercarriage bracket. All the pieces are made from 5/8″ steel plate and are welded with high strength flux core wire.